Status of research SB-23 17 May 2006 Luiz Pinguelli Rosa, Joyce Penner, Niklas Höhne. 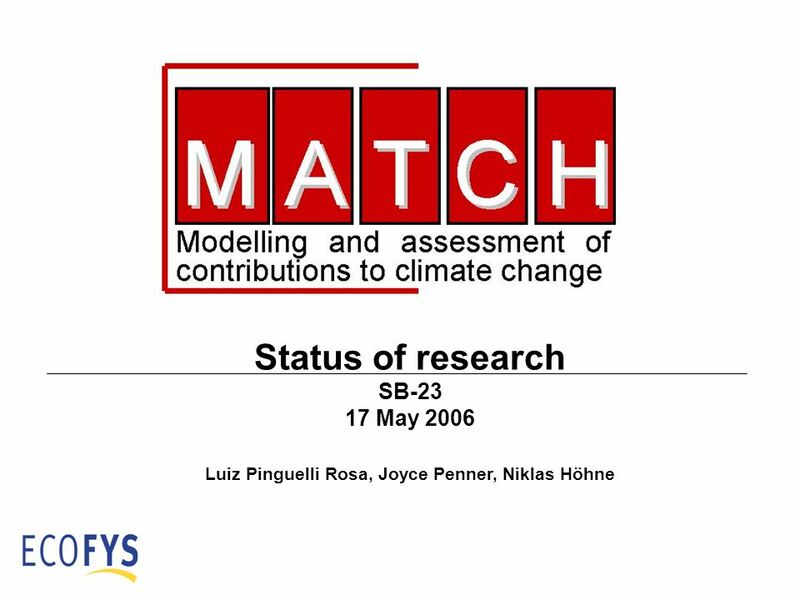 Download ppt "Status of research SB-23 17 May 2006 Luiz Pinguelli Rosa, Joyce Penner, Niklas Höhne." 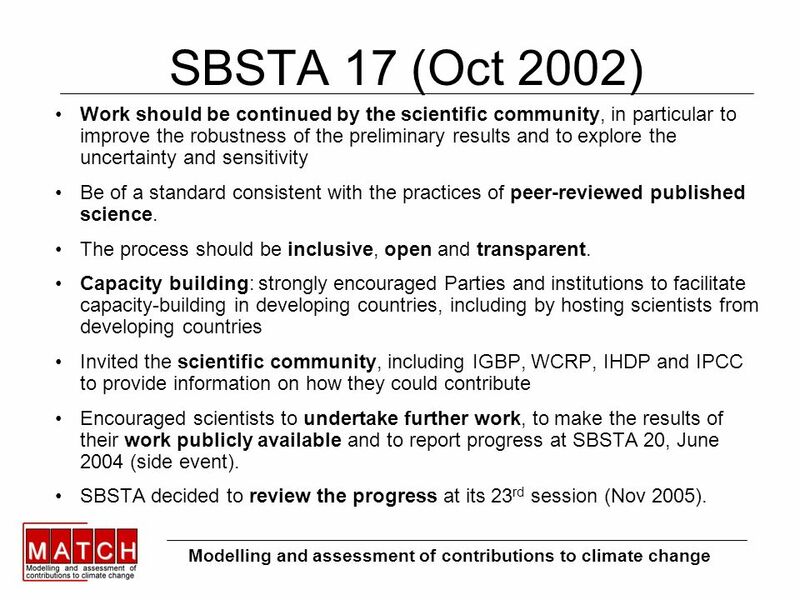 Status of research SB June 2004 Xiaosu Dai, Michel den Elzen, Niklas Höhne. 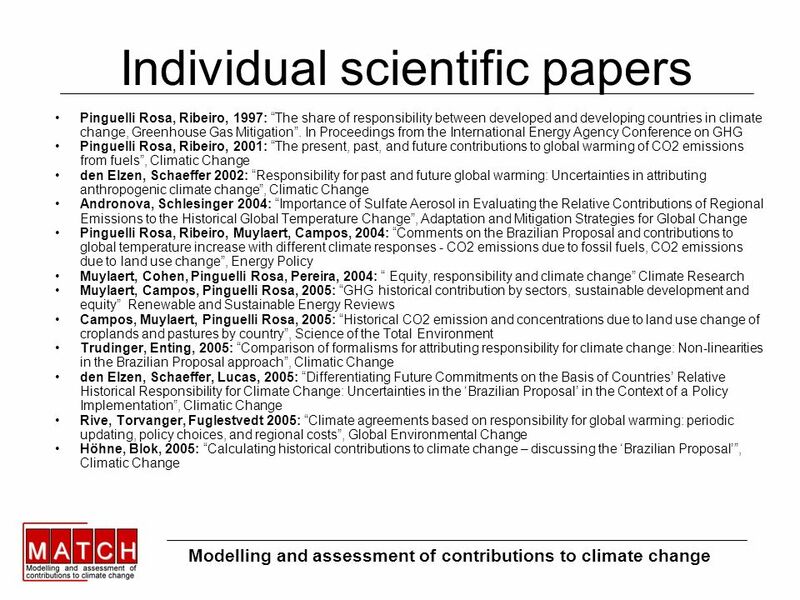 1 MATCH paper 1: contributions to climate change SB May 2006 Niklas Höhne. RIVM/Netherlands Environmental Assessment Agency 1 Michel den Elzen, Paul Lucas and Marcel Berk National Institute of Public Health. Ongoing discussions on international climate policy post October 2005 Niklas Höhne, ECOFYS Cologne, Germany. 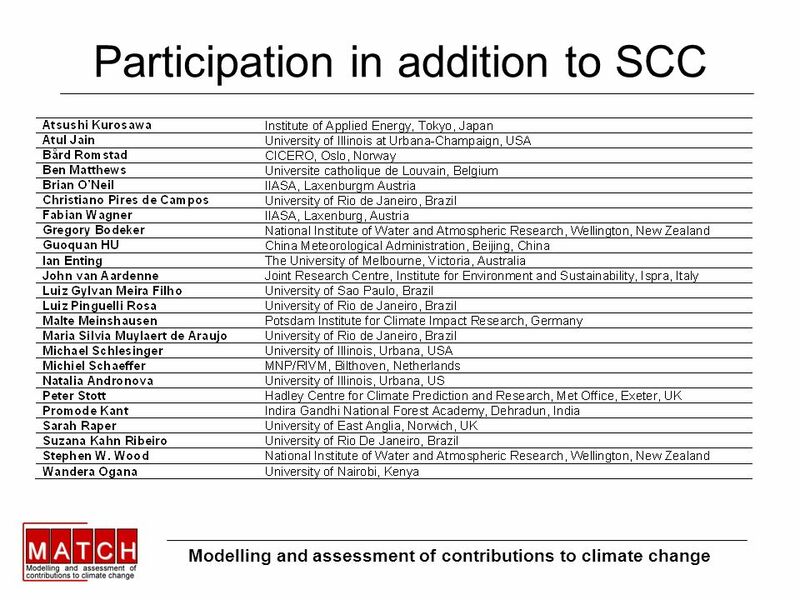 National Climate Change Conference Climate Action Now South Africa, October 2005 Climate Change Consultative Conference The CDM and strengthening. 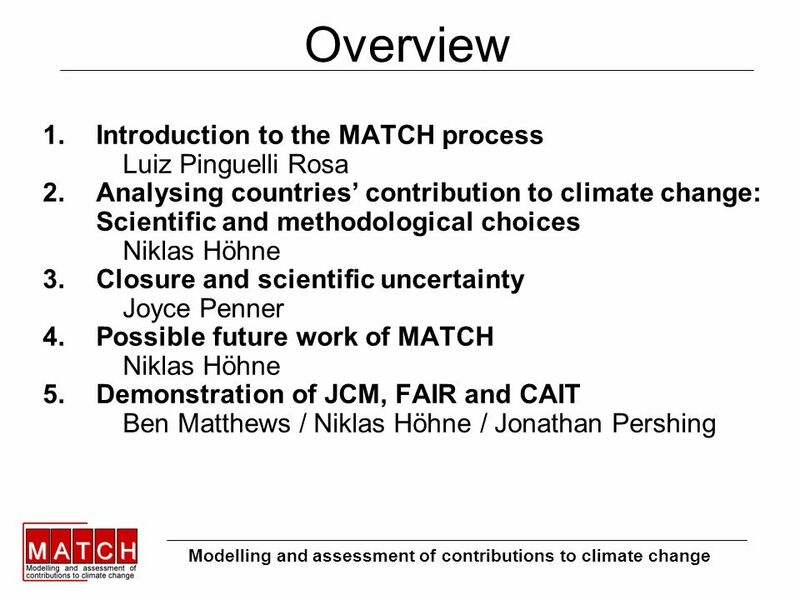 WRI CAIT Climate Analysis Indicators Tool Esther Lahme ECOFYS Cologne. South Africa Workshop October 2005 Looking to the Future – Challenges for Developing Countries Luiz Gylvan Meira Filho Visiting Professor Institute. 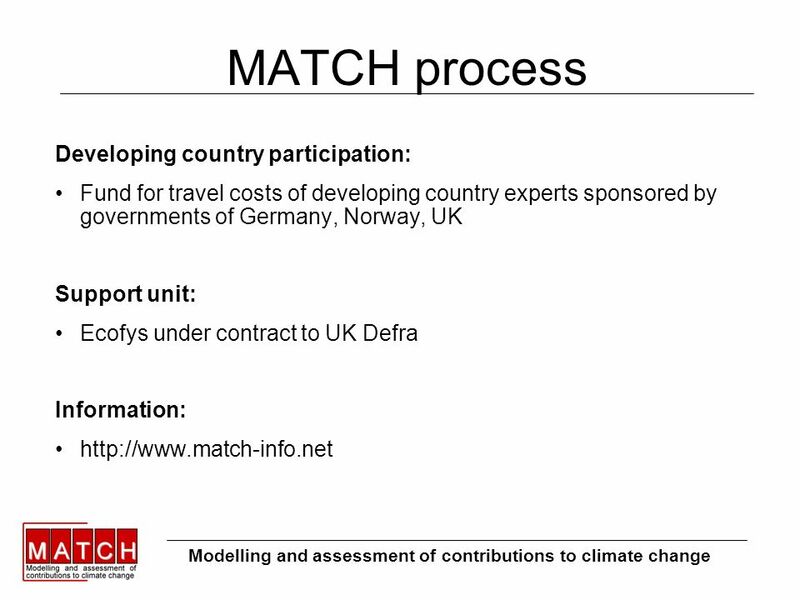 FAIR 2.1 Tool for analyzing mitigation commitments and costs of countries/regions for different post regimes Michel den Elzen, the Netherlands Environmental. 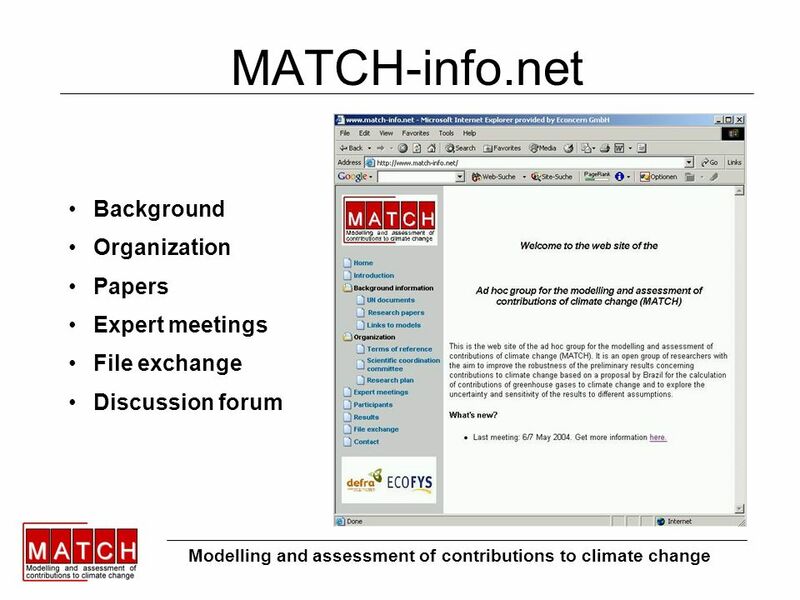 UNFCCC African Group Preparatory Meeting for COP9 Addis Ababa, October 20-24, 2003 Presentation on the Status of consideration of the IPCC TAR By: Nagmeldin. 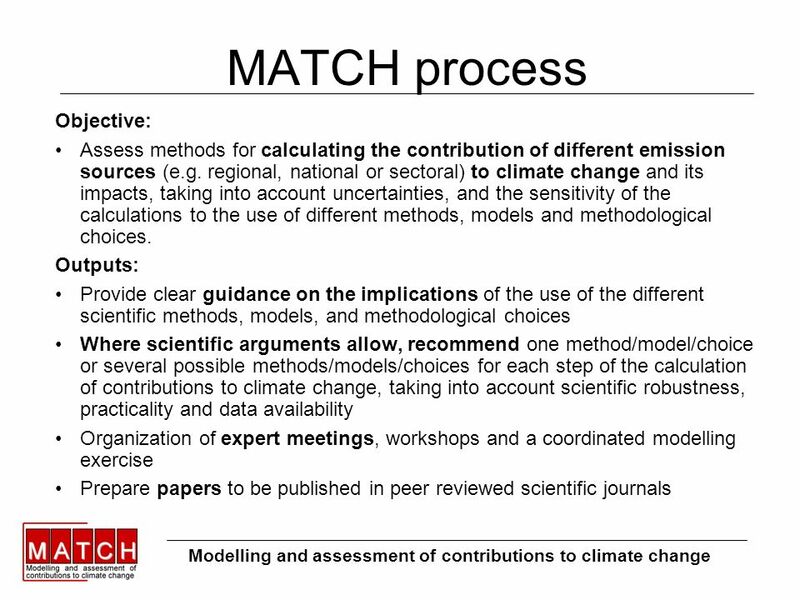 REDD+ Methodologies for Regional and Local Land- cover Thelma Krug Co-Chair of the IPCC Task Force on National Greenhouse Gas Inventories Head of INPE´s. Presentation title The UNFCCC and its linkages and opportunities for the information and communication technology (ICT) sector Kevin Grose, Coordinator. 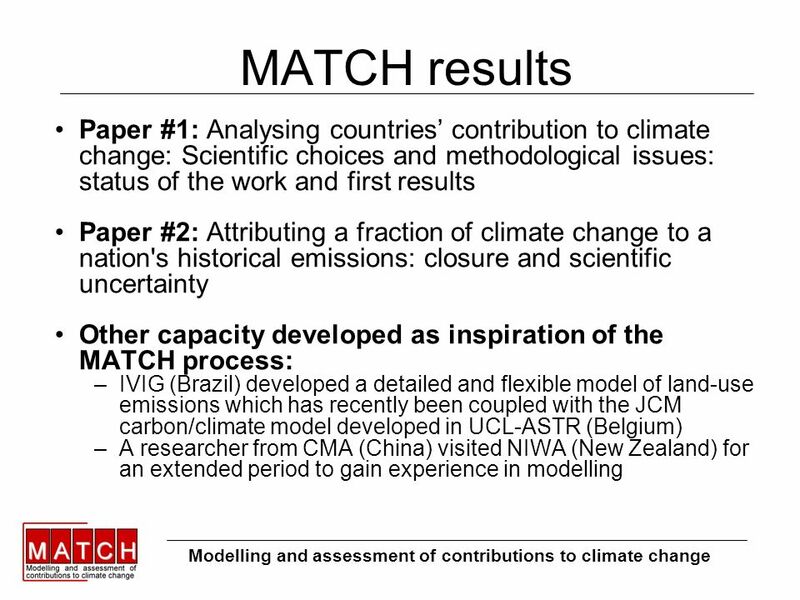 1 Achieving the 2ºC target in the Copenhagen Accord: an assessment using a global model E3MG Terry Barker Presentation to the Institute for Sustainable. 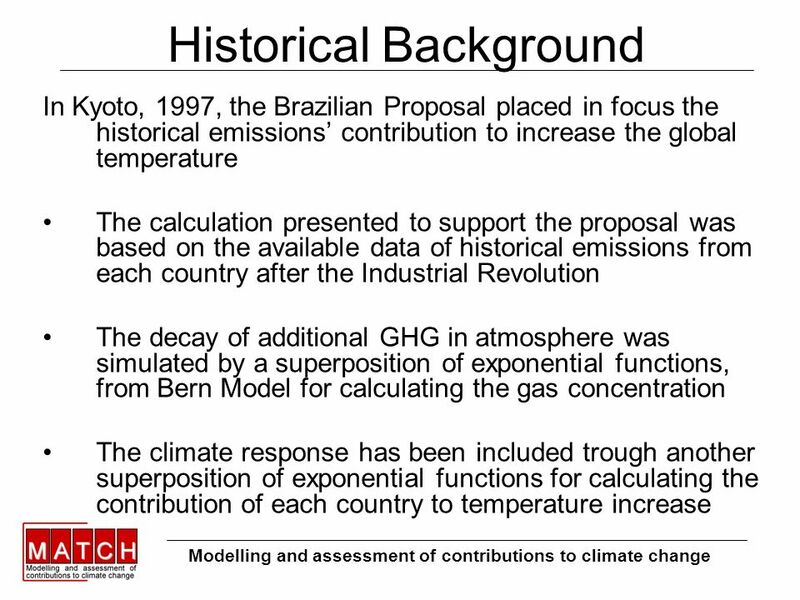 1 00/XXXX © Crown copyright Apportioning climate change indicators between regional emitters Jason Lowe and Geoff Jenkins Hadley Centre for Climate Prediction. ICAO Symposium on Aviation and Climate Change, “Destination Green”, 14 – 16 May 2013 Destination Green Partnerships – Cooperation with other UN Bodies. 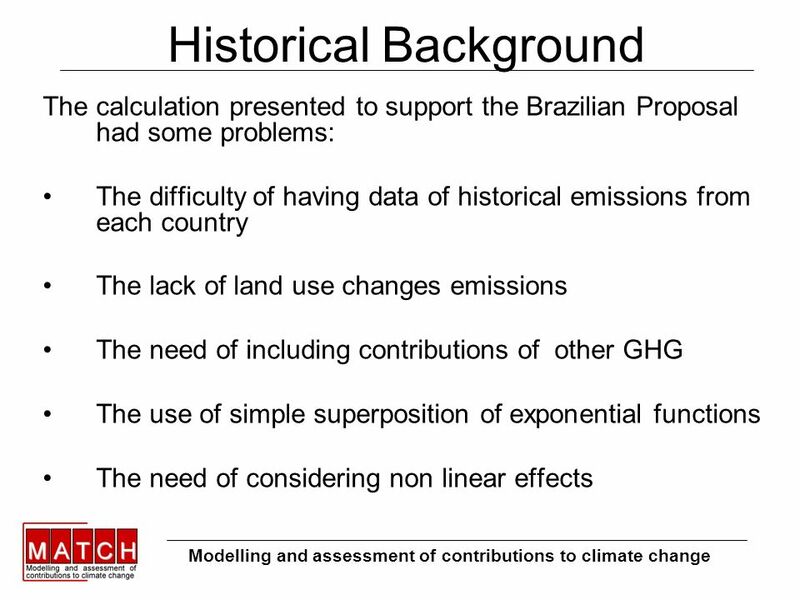 1 Assessment of contributions to climate change Dennis Tirpak UNFCCC secretariat. 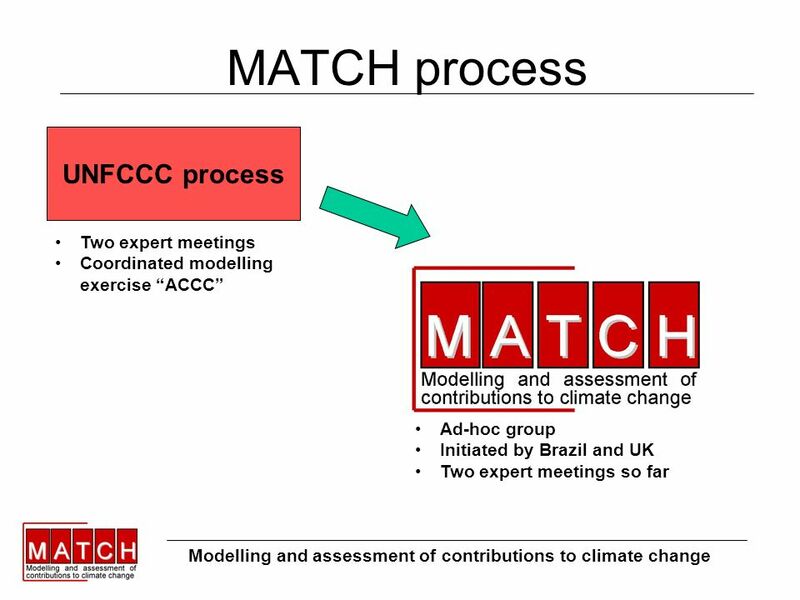 The Monitoring Mechanism of greenhouse gas emissions from the European Community Hartmut Behrend European Commission DG ENV.C.2, Brussels. 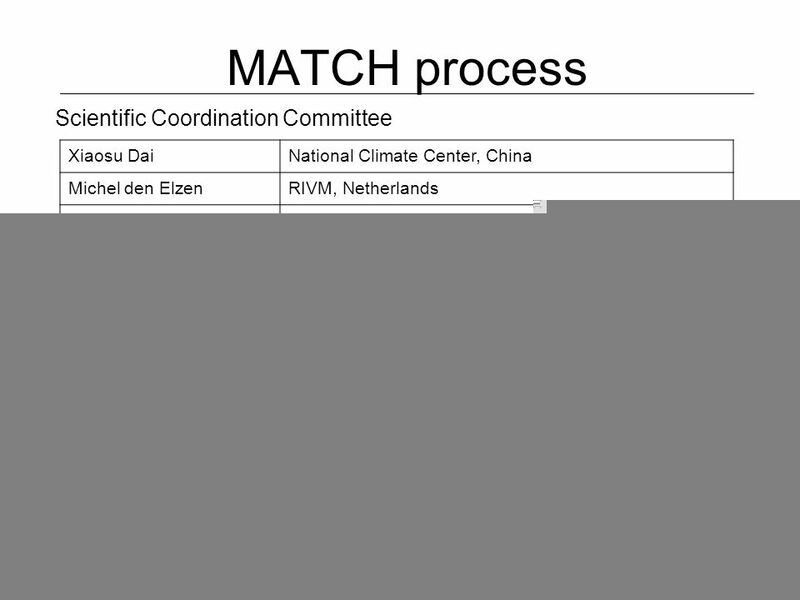 INTERGOVERNMENTAL PANEL ON CLIMATE CHANGE Working Group I Co-Chairs: Thomas Stocker (Switzerland) and Qin Dahe (China) 8 th Session of AWG-KP: Technical.